1. The word "FREE" is still the most powerful - the most often used word in advertising today! 2. 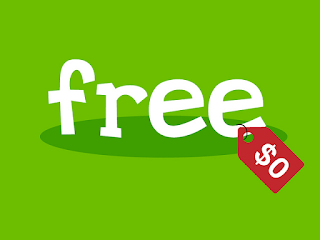 ONE thing FREE when you buy Another! This can be the way to get people to order from you! A second one is FREE, with the purchase of the first! 3. Buy 2 - get the third FREE! This can be used to get MORE and LARGER orders! Giving away ONE, with the purchase of two others! 4. Fourth FREE, with purchase of Three! Tire stores and Publishers offer a 4th FREE, when you buy Three others at regular price! 5. FREE "Trial Size"! Give away one that's smaller than usual, hoping that people will LIKE what you give them, and want to buy more! 6. FREE Bed frame, with purchase of A King Set! Lots of mattress stores use this type of ad! Offering some sort of "premium" FREE with purchase! 9. FREE Service with each purchase! This is used often by Pizza companies, and cleaning services. Free delivery; Free Folding; etc. 10. FREE Interest for 3 months! Many loan companies and others offer this to entice customers to buy from them! It's delaying something for a time! 11. Fast service, or it's FREE! It's Hot, or it's Free! (7-11 offers Hot coffee). Denny's says "10 Minutes, or it's FREE!" Customers come to see! 13. FREE Details! This is used by a LOT of advertisers, who sell products by mail! Let 'em know you'll send information FREE, just to write and ask! 14. Buy 2 ads, get a 3rd (or 4th) FREE! This is another way to get Long Term advertisers! They get FREE ads, with every 3rd or 4th they buy. 15. FREE Commission Circulars! Many Prime Sources are willing to offer you FREE circulars (some for postage) to obtain dealers!